HTC, which probably makes the best smartphones and also the best Android devices, is reportedly making a Android powered tablet. This comes after a HTC representative let it slip out, that they were in the process of constructing a “possible non-traditional shaped tablet”. It’s unclear what that exactly means, but given HTC’s track record with Android devices, I would guess that it’s going to be something special. Again this is one of those rumors that might be hard to believe at first, with what seems like every manufacturer and internet start-up have announced that they will be releasing some form of a tablet in the near future. There is also the uncertainty of using the Android operating system has a viable option for powering a tablet, or MID. The small slip up came at a HTC press conference yesterday, where they were announcing the launch of the HTC Smart, Desire and Legend for the South African market. We also learned that HTC has some plans to beef up their smartphones. The same HTC official said that the company is working on adding 5.1 channel audio to its smartphones, and adding the ability to record in 1080p using the smartphone’s camera. Expect to see these features sometime in Q2 of 2011. 2 Responses to HTC Working on Android Tablet, Really! 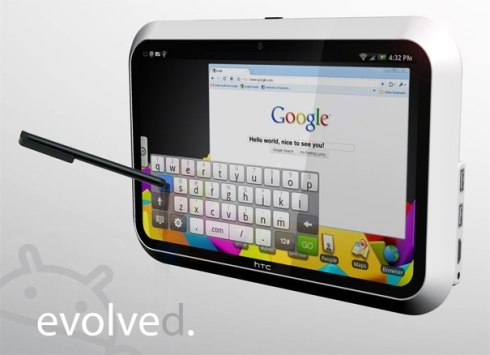 I like HTC phones and am definitely interested to see what they can do with a tablet. Next Entry: ZuneHD Fully Hacked, Ready to Dev!